Suitable for pools, open water, endless pools and even tethered swimming. Now with new firmware to support all type of swimming, not just in a pool. The PoolMateLive is suitable for every swim location. Pools must be over 18m but that’s the only restriction. Automatic lap and stroke counting for each lap- The PoolMateLive has all our swim monitoring functions including laps, strokes, speed, distance, calories, stroke length, strokes per minute and efficiency which are automatically calculated from your arm movements. In addition to the set by set information shown by the PoolMate and PoolMatePro, with the download clip the PoolMateLive downloads data for each individual lap you swim to you PC or Mac. Vibrating alarm- Our unique vibrating alarm alerts you when you have swam a certain number of laps, distance or time interval- a really great innovation to keep track in the pool. Large display characters- With our largest characters the display is easy to see through goggles so lap count is visible at a glance. Tough but stylish- The PoolMateLive has a sleek but tough design with sapphire crystal glass and a ceramic bezel so it stands up to the hardest swim session and is suitable for everyday wear too. Long battery life, that you can change yourself- The PoolMateLive has our longest battery life yet, up to 2 years. It comes with a specially designed back plate with a twist off battery port so you can change the battery yourself at home when you need to. Optionally Downloadable- Would you like to download your swim data to your computer? It’s completely up to you. Just purchase the download clip for an extra £30 and you can download to PC or Mac. 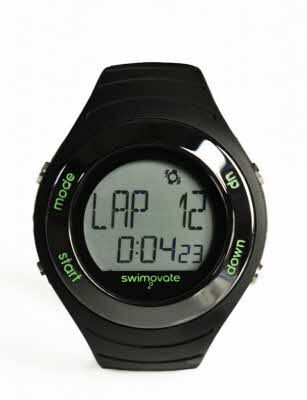 Chrono mode for other sports.